Over the weekend I completed the Aquarius and Pisces birthday readings. We are now heading down the road of Mars retrograde and into what will be recorded in astrology history as the grand cross of April 2014. Astrology that will impact the world like this will also have a direct personal influence in your life, and that is what I am looking at in these readings. 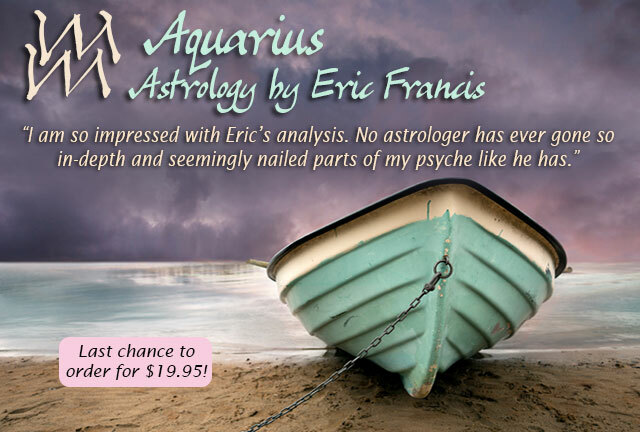 The Aquarius reading is still available at the pre-order price of $19.95. Use this link to get access or call us at (206) 567-4455. Most astrologers would say it's impossible to get the resonance and accuracy that I do without the natal chart, but as The Beatles said, there's nothing you can do that can't be done. In this letter, I will share some highlights from the readings (starting with how both include several pieces of original music written by me and my friend Daniel Sternstein). If you're an Aquarius or have that sign rising, your life is now an inner quest like nothing you've ever experienced. It is not letting up -- that is the nature of how Pluto is influencing you. You have entered a psychic environment that will take you deep into yourself and at the same time help you resolve generations or even lifetimes of karma. While this does not seem to be happening fast, the process is accelerating. And one of its manifestations is that the whole matter of your value in the world, the respect you have for yourself, and what you have to share, is being called into focus. You are in a moment where in order to have, you must give, to discover what you have. Looked at one way, this is the living essence of spiritual. You're being called to rise above whatever neglect you may have faced as a younger person and take over the mission of teaching yourself how to be in the world fully, informed by the profoundly personal quest that you're on. You are learning to bring progress made in the deep background of your life into the world around you. If you're a Pisces or have Pisces rising, you are now under the influence of Chiron and Neptune, two of the most potent influences that help us receive signals from our soul and from the cosmos. It is time to step into your full mastery. Yours is a sign that is perhaps too talented at delayed gratification; this moment is one of bringing your longterm plans, projects and personal journey to fruition. 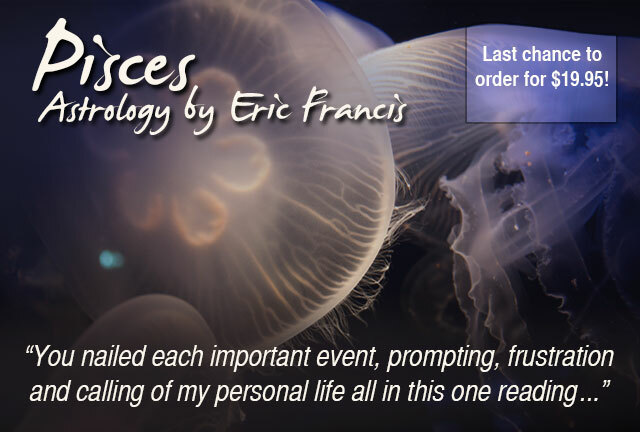 The Pisces reading is still available at the pre-order price of $19.95. Use this link to get access or call us at (206) 567-4455. You are blessed with an abundance of magnificent potential -- and you can no longer wait or be passive; you simply must reach for what you want, and what you want to do, and learn to make decisions ongoing, one at a time, to get you there. There are currently two major aspect patterns in the sky -- a grand cross and a grand trine. Your ruling planet Jupiter is the one factor that both have in common. This makes you a kind of hub for whatever develops this spring, and indicates a once-in-a-lifetime juncture. By once, I really mean it -- this is not astrology that will repeat, which means that the opportunities you have now are specific to this moment. Your role through all of this is to be a creative source, to maintain awareness of what life is truly about, as the one who encourages yourself and others to take risks. I talk about how, when granted such creative power, the responsibility to choose -- with informed discernment -- is an essential skill. Note, as part of this same group of readings, I finished Capricorn 2014 about a week ago, which focuses on the profound experience of having Pluto in your birth sign -- a true coming of age for you. These readings go well beyond what you heard and read in The Mars Effect. They also include access to last year's reading so that you can gain some insight into the past and check my accuracy. They include the chart used in preparation of the reading as well as photos of the tarot spread. They are compatible across all audio platforms (including iOS) and can be downloaded into iTunes or other players. My birthday readings are actual astrology readings. I do them very much as I would with you in the room. They are presented in plain talk, speaking to human themes, using astrology for illustration. They are immediate, present and alive. I take enough time to actually get the information and moreover the feeling of the astrology across. 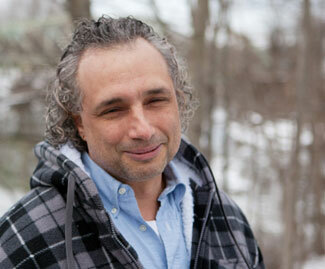 Eric Francis in New Paltz, New York. You get two half-hour sessions of me speaking to you about the astrology that's now influencing you. I then add a third session of astrology afterthoughts and a tarot reading. There may be professional astrologers who don't believe that this is possible, but my clients know how helpful the work is to them. Today on my Facebook page, someone re-posted my announcement of the Aquarius reading with the comment that I am, "Truly amazing in the helpfulness and accuracy of his birthday readings. I don't know how he does it." It is gratifying to read this, and I love that I have developed a mode of the work that brings authentic readings to people for a small fraction of the cost of an in-person session. There is not a lot of astrology that you can buy for $19.95. Look around. That's less than most of my colleagues are charging for a prepared report generated out of a pre-written database. I am so confident that you will find these readings helpful, valuable and a unique source of information that they are fully guaranteed. They are still available (through Tuesday night) at the pre-order price. Here is the link for Aquarius. Here is the link for Pisces. Then they will go up to the after-publication level of $29.95 (which we will soon be increasing to $39.95, however, we plan to leave the pre-order price the same). If you want to order by phone, or purchase more than one reading (or extend your subscription at the same time), please call Chelsea at (206) 567-4455. As always, you're welcome to write to me directly at dreams@planetwaves.net.